In this article, we tried to highlight the current employment of educated women in private sectors especially language institutes and travel agencies. Qualitative in-depth interviews were used as the instrument to investigate women’s attitudes and perceptions of job opportunities in private sectors. Sense Relation Network (SRN) method was used to complement the interviews. Each interview was recorded for the data analysis stage. We sought to investigate to what extent educational level is a significant criterion in providing women with job opportunities. We also considered the influence of beauty and the value it had for employers in private language institutes. 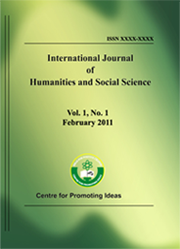 An analysis of the survey reveals three major results; 1) educational level of women plays a less significant role in providing job opportunities for women in private sectors, 2) facial and physical beauty do exert a significant influence on the relationship between education and job opportunities, 3) The employment of beautiful women acts against them in the long run in a way that they are viewed just as toys and not as educated human beings. So, the study shows that education is marginalized and lookism has been put on the top of the agenda for the employers. Some probable solutions are suggested by the participants to diminish the maltreatment of women and discrimination against them.